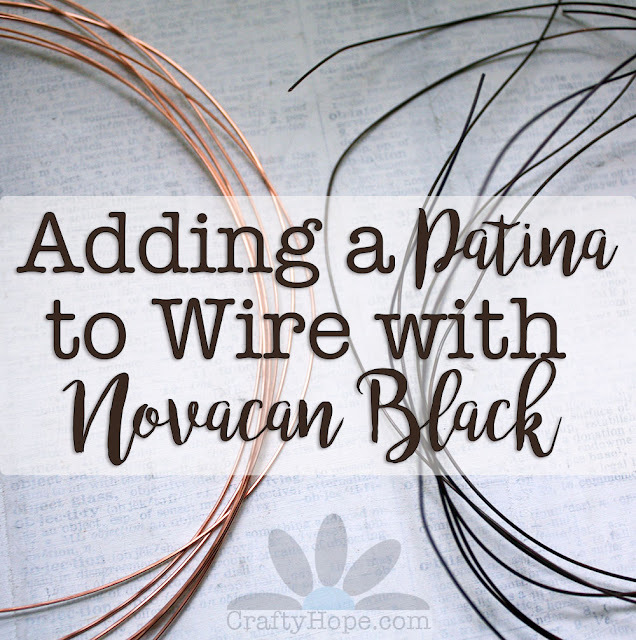 Instead of engaging in all the Black Friday shopping madness, I thought I'd share a little tutorial on how I darken wire for jewelry-making. For some jewelry projects, a bright, shiny wire is perfect. However, since a lot of what I make incorporates old jewelry, found objects, and upcycled bits; I've found that I really like the feel of an aged wire, especially brass and copper. 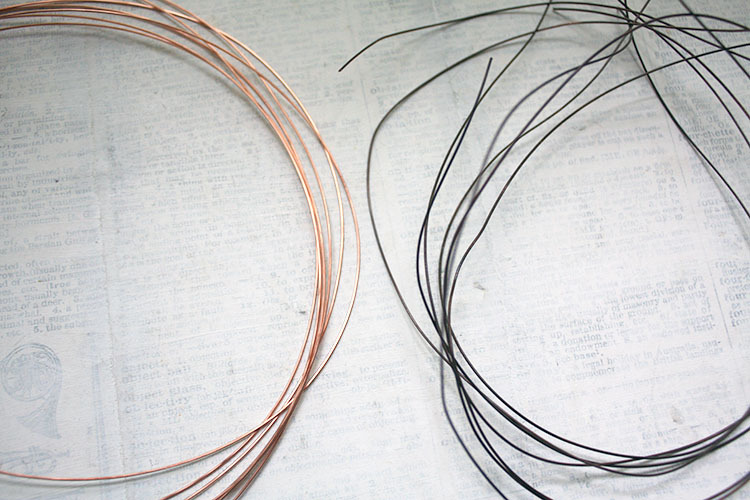 I created a video detailing the whole process I use on how to Age Wire for Jewelry. However, if you're in a rush to get out and hit the sales, he's a quick summary. First, note that I tend to use wire from the hardware store. 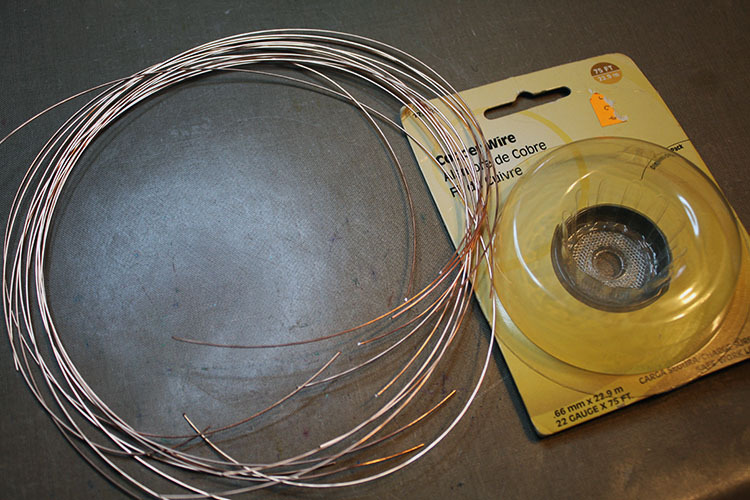 I cut the wire down into a stack of manageable lengths (probably around 12 inches) of wire. To darken the wire with the Novacan Black Patina, I simply push as much of one end of the wire into the bottle as I can then pull it out through a piece of paper towel (to remove the substance). Then, I turn the wire and repeat the process on the other side. 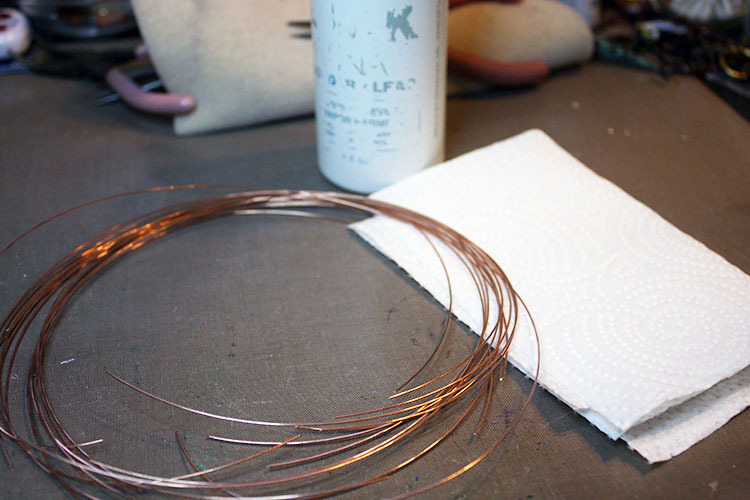 I go through the whole process until the stack of wire is antiqued. From there, I seal in the color with a paste wax. Above I used Johnson Paste Wax, but I have also used Renaissance Wax. 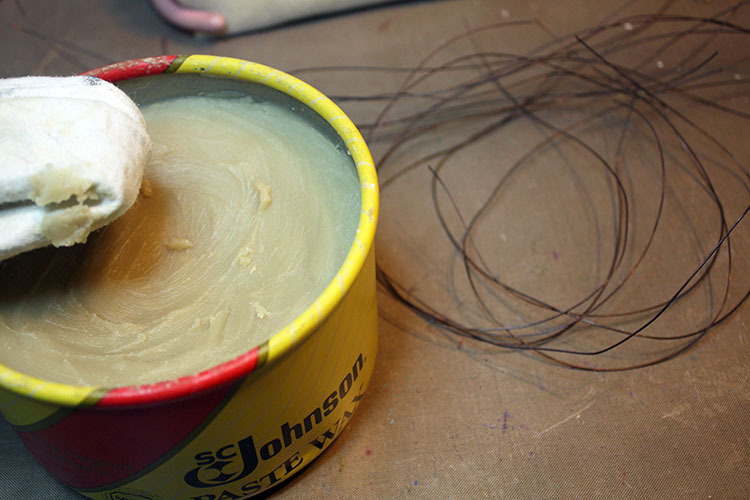 The wax is applied with a soft cloth and then buffed with a different area of the cloth. And, that's it. Once those steps are complete, I have wonderful, lovely, darkened wire for my jewelry-making. If you have any questions about these steps, my materials, or anything else; please don't hesitate to ask! It really is so easy! I also have some LoS, but rarely use it since the Novacan is so simple to use. The sealer is probably unnecessary, but it always assures me that the wire is unlikely to fade or become shiny again. I've never heard of a liquid Johnson's used on windows. Interesting!